Join the National Foundation for Celiac Awareness on Monday, June 7 as Susanna Foo Gourmet Kitchen goes gluten free. This celiac awareness dinner in the chic Radnor dining room offers the elegance of fine dining in a relaxed, friendly atmosphere. Award-winning chef Susanna Foo is widely recognized as one of America’s top Chinese chefs, specializing in pan-Asian cuisine that blends traditional Chinese foods with classical French techniques. The three-course fixed-price dinner menu is $40 plus beverages, tax and gratuity. Additional menu items for tweens and teens will be available. A portion of the proceeds will be donated to the NFCA to support raising awareness of celiac disease. Guests will have the opportunity to win a raffle prize of a dinner for two at the restaurant and all diners will take home a gift bag of treats. The restaurant is located at 555 East Lancaster Avenue in Radnor. Make your reservation directly with the restaurant (either online or by calling 610-688-8808) for any time between 5:30 p.m. and 8:00 p.m. If you have questions about the menu or reservations, ask for Shona at Susanna Foo. If you have other questions, call the NFCA’s Nancy Ginter at 215-325-1306, extension 101. It was a slow news week for a change here at Gluten Free Philly, but I still have a few items to share with you. Earlier in the week, I featured Tesori's Gluten Free Treats, a made-to-order bakery in Medford that offers all kinds of baked goods. Medford also has a restaurant with gluten-free pizza and pasta. You can order those items at La Bella Pizza (199 Medford-Mt. Holly Road, 609-953-9148). Legal Sea Foods is now open at the Philadelphia International Airport at the Terminal B/C Connector (267-295-9300). At the moment, this location doesn't have a gluten-free menu, but you can ask your server to identify the safe items. 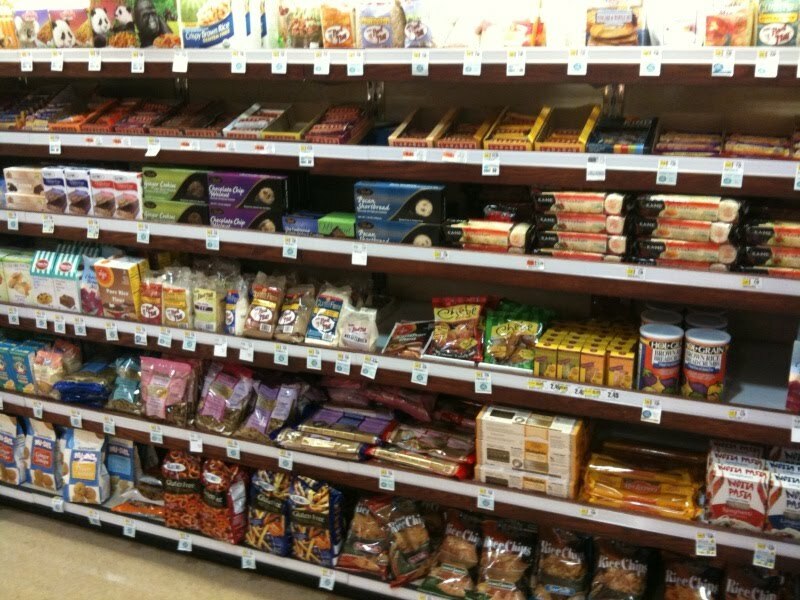 Reader Mark wrote to tell me that the ShopRite in Brooklawn now has an expanded gluten-free section. On Wednesday, June 2 at 6 p.m., the Whole Foods Market on Callowhill Street in Philadelphia is hosting a one-hour lecture and gluten-free food tasting with Lois Quigley, a holistic health counselor and food demonstrator. Each attendee will walk away with a special goody bag filled with gluten-free products. To register, e-mail Laura Enoch by Monday, May 31. I'm planning a short break away from the blog through Memorial Day, but will return in June with lots of product reviews, a recap of our recent trip to New York City and more. Go Flyers! UPDATE (9/10/10): Unfortunately, Tesori's recently ceased operations. While the imminent closure of Mr. Ritts in Millville will leave South Jersey with one less option for fresh gluten-free baked goods, Tesori's Gluten Free Treats is a worthy alternative. Phil and Christine Brownridge started their Medford-area bakery, named for their daughter, last year. In 2001, after years of digestive problems and endless testing, Phil was diagnosed as being gluten intolerant. Although relieved to finally know the cause of his ailments, he had to contend with the realization that his diet would change forever. By coincidence, Christine had spent countless hours helping her mother and grandmother whip up scratch-made desserts. Together, the couple began experimenting with recipes passed down from Christine's family and with new recipes they created together. Phil and Christine were encouraged by the reaction they received from friends and family, and decided to share their results with others. Christine's baked goods range from breads, cheesecakes, cookie sandwiches, cupcakes and special occasion cakes available for local delivery to brownies, muffins and coffee cakes that can be shipped anywhere in the continental United States. The products are made in a commercial kitchen in Tabernacle using dedicated bakeware and utensils. Many of the recipes can be tweaked to accommodate vegan, lower sugar, egg-free and dairy-free diets. Orders can be placed directly with Tesori's at 732-337-9690. You can also find selected products at Pasta Pomodoro in Voorhees and the Dutch Wagon Amish Market and Mom's Bake at Home Pizza in Medford. If you haven't yet attended a local gluten-free awareness dinner sponsored by the National Foundation for Celiac Awareness, I encourage you to go on June 7. That's when Susanna Foo in Radnor will host a three-course Asian-themed meal for adults and kids. The event was the subject of a post on Tuesday. As part of its new farm-to-table menu, Silver Diner in Cherry Hill (2131 Route 38, 856-910-1240) has introduced gluten-free selections that include shrimp scampi with penne, Van's waffles, and a mini brownie sundae. The restaurant has a dedicated toaster just for the waffles, while the brownies are made off-premises. 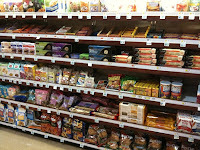 A list of all gluten-free items is posted at the company's website. Gluten-free pizza is now available at Mannino's in Morrisville (312 West Trenton Avenue, 215-736-2457). Thanks to reader John for the mention. Five Guys Burgers & Fries is now in Exton (76 Exton Square Mall, 484-875-0755). Continuing the burger war, Elevation Burger plans to open two more area locations this summer/fall: in Collegeville at the Providence Town Center and in Moorestown at the Moorestown Mall. The chain offers organic burgers free of fillers and fries cooked in 100 percent olive oil. Amaranth Gluten Free Bakery's bread and rolls are available for sandwiches at sister cafes Benna's and B2 in South Philadelphia. Jasper in Downingtown, which a reader recommended last year, has closed, according to the Philadelphia Inquirer. Uno Chicago Grill will host a national Dough Rai$er from May 24 through May 30 in support of Celiac Awareness Month. Customers interested in participating in the May Dough Rai$er can secure a voucher, which they can then bring to their local Uno location. Twenty percent of sales generated from those who participate will support the American Celiac Disease Alliance. There are several contests of note tied to Celiac Awareness Month. Mambo Sprouts, a marketing firm based in Collingswood that specializes in organic and gluten-free products, is sponsoring a giveaway to celebrate Celiac Awareness Month. Winners will receive gluten-free products from Glutino, Pamela's and Crunchmaster, among others. Just post a review of one of the featured products to enter through May 31. Barbara's Bakery, the maker of Puffins and other gluten-free cereals, is changing its product packaging and has announced a "makeover" contest to promotion the redesign. The grand prize is a trip to Napa Valley. French Meadow Bakery offers two grand prizes of a one-year supply of its gluten-free products and a $250 grocery gift card to the winners of a recipe contest. All entrants receive a one-time-use promotional code for $5 off any online purchase from the bakery. Water to Go/Gluten Free Dynasty in Pennsauken now carries Udi's gluten-free bagels at $5.99 a package. May is National Celiac Awareness Month. Among the highlights will be the Gluten-Free Pavilion and Educational Session at the National Restaurant Association show in Chicago, where many national chains will be able to learn about the needs of gluten-free diners and, hopefully, offer specialized menus in the future. These are exciting times, with restaurants introducing gluten-free items with greater frequency than ever. It's important, though, that these places understand that it's not simply about serving food that has no gluten, but also preparing the food properly. This week, I reviewed the new Snyder's gluten-free pretzel sticks that will hit markets in July. 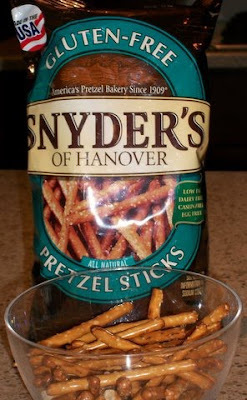 Many consumers are looking forward to having an alternative from a mainstream national company and, after tasting the Snyder's product, I believe they'll be pleased. Reader Sharon e-mailed me about New American restaurant Firecreek in Downingtown (20 East Lancaster Avenue, 610-269-6000), where the kitchen was "aware and willing to accommodate" her gluten-free requests. Another reader posted a comment that the Washington House in Sellersville (136 North Main Street, 215-257-3000) takes care in serving safe gluten-free meals. The seasonal menu has many items that are, or can be made, without gluten. The Melting Pot fondue restaurant chain, with five area locations in the Delaware Valley, just posted its gluten-free menu at its website. The menu was prepared in consultation with the Gluten Intolerance Group. As part of an expanded menu, The Silverspoon in Wayne hosts a "World Tour Wednesday," a four-course prix fixe dinner with food from different world regions. Much of the menu items are naturally without gluten, and chef Ron Silverberg can also prepare gluten-free buckwheat pancakes and sandwiches for breakfast, lunch and Sunday brunch. The Drafting Room in Spring House has closed. The Exton location still has Redbridge beer on its drinks menu. Limerick's Craft Ale House (708 West Ridge Pike, 484-932-8180) currently has Bard's beer and several varieties of hard cider available in bottles. Brownies and cookie sandwiches from Sweet Freedom Bakery are now available at DiBruno Brothers' Rittenhouse Square location (1730 Chestnut Street, 215-665-9220). Also, the bakery will now ship goodies in the continental United States. Shipments will go out on Tuesdays and Thursdays for overnight delivery. Call 215-545-1899 for a quote. If you're not familiar with the Subscribe & Save program, you select how frequently you want the receive the item when placing the original order, but you can skip intervals and cancel the subscription without obligation at any time. So if you just want the product once, combine a Subscribe & Save order with use of the code and then cancel the future orders after you receive the first shipment. Amazon also sends out reminder e-mails in advance of future shipments in case you forget to cancel right away. The Whole Foods Market in Jenkintown hosts a gluten-free expo on Wednesday, May 12 from 4 p.m. to 7 p.m. The store will have food samples and representatives of the National Foundation for Celiac Awareness on hand. Meet at 6 p.m. in the café for a talk on living gluten free followed by a tour of the store. The guest speaker for the evening is Nancy Dickens, a Registered Dietitian who has twin teenage daughters with celiac disease. On Sunday, May 16, the Children's Celiac Support Group will meet at CHOP's Specialty Care Center in Voorhees from 2 p.m. to 4 p.m. Parents are asked to bring their children's favorite gluten-free snacks to share with other attendees. Call 267-426-6822 to RSVP. The next Chester County Gluten Intolerance Group meeting is scheduled for Monday, May 17 at Paoli Hospital. There'll be a vendor fair beginning at 6:30 p.m., with dietitian Nancy Patin Falini (author of Gluten-Free Friends: An Activity Book for Kids ) set to speak at 7:15 p.m. E-mail Nancy Artus for more information. The events will be at the hospital's Potter Room (Zone B, Level 1). Keep emailing me your restaurant news, product finds and events. Have a great weekend!